The rundown: For the first time in decades, the contenders in this category have been winnowed down to just fifteen finalists as of December 17th. I’ve been listening to all of them every time I drive anywhere, and I’ve embedded a YouTube clip of each below for your listening pleasure! It’s not wise to look to the Golden Globe list as a template since just one of their nominees has translated on many occasions, and even as few as zero in 2011. I’m predicting the four Globe-nominated films that placed on this finalist list to make the cut, a match-up that hasn’t happened since 2001. 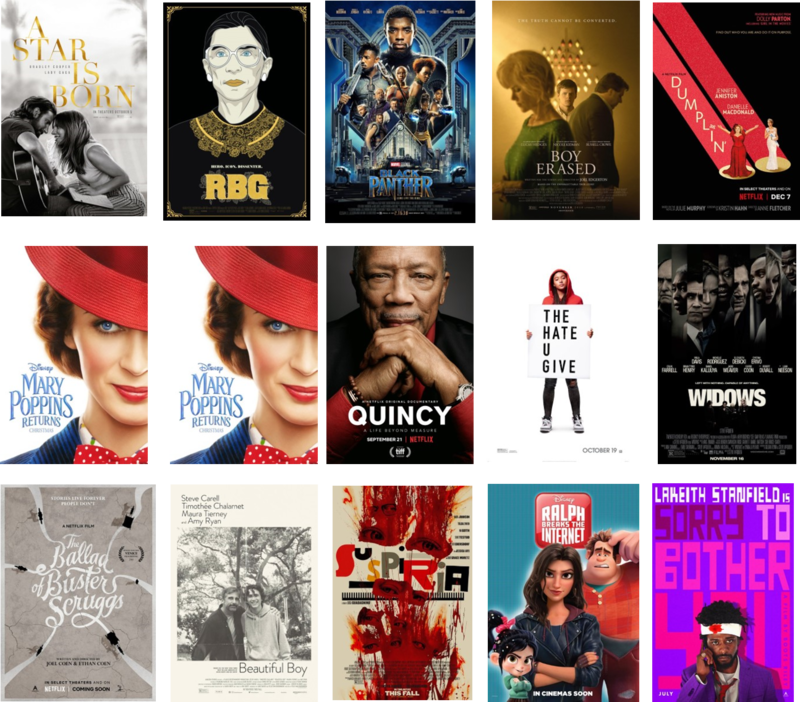 I’ll go over previous nomination statistics for artists once nominations has announced, noting only that Black Panther, Mary Poppins Returns, and The Ballad of Buster Scruggs are also finalists for Best Original Score. One film earning two nominations isn’t too rare, last occurring two years ago, and five films even managed three nominations apiece in the 1990s and 2000s. Finalists are embedded below in the order of likelihood of being nominated. Forecasted winner: I don’t see anything taking down A Star is Born.